Mix of wooded and open holes. Accuracy is a key to this course. One of two courses at this park. From I-270 north of St. Louis, north on Lindbergh to a left on New Halls Ferry Rd., to a right on Vaille Ave., to a left on Old Jamestown Rd. 1 mile to park on right. Briscoe Woods is the first right as you enter - park by the tennis courts. Beautiful wooded course. 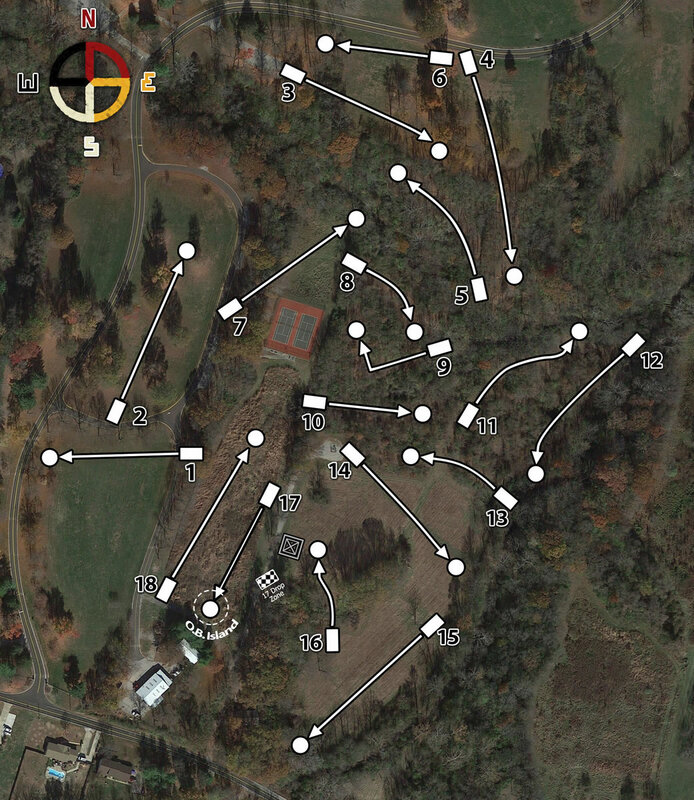 Some very challenging holes requiring you to use "your entire bag"
Nice complement to the original Sioux Passage course, a little shorter, more technical, good variety of holes, elevation changes less severe than original course.